The construction industry is in a very different situation now from how it was before the global financial crisis set in. At the height of the market, construction and real estate contributed a large amount to Slovenia’s GDP. Now, the story is completely different, as development has diminished to virtually nothing. It is very clear that for Slovenia to kick start economic growth again, the construction industry will have to be revitalized. Intervention from the government will be required; this is not something that the private sector can resolve alone. It should be noted here that the real estate problems are so far not related to residential property, which forms a fairly transparent market. The problem lies with commercial real estate assets. A combination of poor bank liquidity, inaccurate valuations, negative equity, poor developer and lender expertise, and no availability of equity due to corporate indebtedness is a toxic mix that has brought the development industry to a standstill. Let’s look at each of these issues in turn, and what the government could do to address the problems. The banks are in a difficult situation. They are under constant pressure to improve their tier 1 capital ratio. In order to do that they have to dispose of distressed property assets and other assets. But how to do that when those assets are overvalued? A recent portfolio valuation by four international valuation companies of over 350 assets in Slovenia and ex-Yugoslavia showed that that commercial property assets were overvalued by local valuers by between 300 and 700 percent. If a bank sells an asset at a third of its book value, it records a loss, which further diminishes the tier 1 capital, and completely defeats the purpose of the disposal. The situation with some Slovene banks is far worse than it appears because of the negative equity issue. We recently valued a commercial property asset at 2m€, it has 12m€ of debt outstanding, from 5 separate banks. The book value of the property is 7m€. Another asset was valued at 1.3m€, but has 4.7m€ of debt outstanding. So what can the government do to help? Returning liquidity to the system is vital. The first step should be to carry out a widespread valuation exercise to establish exactly what the true picture is. An international valuation company that works to RICS standards, and can estimate the current market value should carry out the valuations. Until an accurate picture of the loan books emerges, it will be impossible for the banks or government to create a strategy that will work. The second step is to make local valuers properly responsible for future valuations, to make sure this situation never arises again. In more mature markets, valuers are held responsible for any loss their Clients suffer as a result of an erroneous valuation. They are required to have sufficient professional indemnity insurance to cover any claims. In some cases, such a claim might be limited to 20 times the fee paid for the valuation, however in others there is unlimited liability. Accurate valuations form the cornerstone of any healthy lending system, and valuers in Slovenia have to stop asking, ‘What do you want the value to be’, when instructed to carry out a valuation. Banks will have to understand that the cost of valuations will rise if they are done correctly and insured with a proper level of professional indemnity cover. The third step should be to allow the banks to write down the value of the loans on those assets that are in default and in negative equity. This could not be done all at once of course, as the banking system does not have the capacity to absorb the losses. They will have to be written down over a period of time, and the best approach the banks can take is to start actively managing their (defaulted) real estate loan books. There is a lot of value to be created through proper development / refurbishment / reletting / facility management etc. and programming a timely exit strategy. The government will have to inject equity into the banks to allow them to gradually write down the loans, but at least the current gridlock will be eased, the market will regain momentum, and much needed liquidity will start flowing through the banks, allowing them to make new loans and contribute to growth in the economy. Of course one could argue that the taxpayer should not be responsible for bank losses, but the point is that until liquidity returns to the system, Companies will continue to go out of business, the economy will not grow and unemployment figures will rise. Slovenia has had a free real estate market for a little over 20 years. Much of that time was spent in a bubble, fuelled by cheap and easily available bank finance. In the good times, any developer who built anything was guaranteed a profit, thanks to double-digit price growth every year. Vegrad is the perfect example of a Company with no development expertise making foolish decisions and embarking on unsustainable projects, resulting in the bankruptcy of a once great company and many of their subcontractors, and losses of tens of millions of euros. Two young Slovene developers have travelled overseas to study in specialist institutions that teach the skills required. Marko Rant from ABC Fin d.o.o. obtained a MSc in Real Estate Investment and Finance from Henley Business School in London, and Iztok Polanič from Intering Holding obtained an International Real Estate MBA in Germany. Marko Rant commented, ‘Applied real estate business and economics is an acutely deficient area of our university education system in Slovenia. There is little or no curriculum available to undergraduate and postgraduate students interested in the subject. Real estate business skills are often misinterpreted or confused with construction, engineering and architecture, which are all quite different professions. My experience at the School of Real Estate & Planning at Henley Business School in Reading, UK, has been invaluable in terms of depth of academic research, applied skills and also peer contacts. The part time real estate masters programme which I attended is widely considered as best in the UK and offers 15 specialized modules covering real estate valuation, development, sustainability, investment, corporate real estate and others. I would highly recommend the programme to everyone interested in a following a career in real estate. Given the self-taught nature of the Slovenian real estate industry and the problems which it currently faces, I believe one of the key long-term policies in this area should be to increase the available education for young real estate professionals’. Iztok Polanič said, ‘Good real estate knowledge is a must in today’s real estate business. Without it it’s like being at a crossroads and not knowing which way to go. A good education shows you the way, but how to get there is up to the project, individual and current market situation. The problem in Slovenia (I would say generally in the Balkan area), as I see it, is the fact that people have very little knowledge about real estate and how to value properties. This in the end leads to corruption, because investors value their properties in real estate projects above normal market values, this lowers their need for equity and they can then start the project without any or minimal equity. In organized markets, like UK or Germany, this can’t happen, because the banks employ people who have skills in real estate business and know which projects can be financed and can be in the long run successful. They also have MUCH better controlling and monitoring systems. Banks also monitor the track record of their developer Clients’. The skills that real estate developers need are exactly the same as those required by lenders responsible for real estate lending. Intimate knowledge of past and current market conditions, an understanding of the drivers, potential growth, achievable prices, and the market appeal of a project are all essential, along with very good financial modelling skills. Some banks in Slovenia have specialist real estate lending units that deal with development loans, but not all. Incredibly, one 40m€ project financed by a Slovene bank was dealt with by the local branch manager in a small town. Unsurprisingly, it got into difficulties and it will be a miracle if it ever shows one cent of profit. It is interesting to note that the banks that have developed specialist expertise, such as lending on retail projects, are now the ones with the fewest problems. The government should work with Ljubljana University without delay to introduce courses for real estate professionals, following the syllabus of similar educational institutions elsewhere. Sarajevo University has partnered with the University of Melbourne to introduce their successful Master of Property – Applied Finances course. This will be accredited by the RICS. This is an excellent way of skills sharing where knowledge from more mature markets can be imported. All real estate developers and lenders should be encouraged to attend short and long courses to improve their skills, through subsidized incentives. This would benefit the economy in many ways. 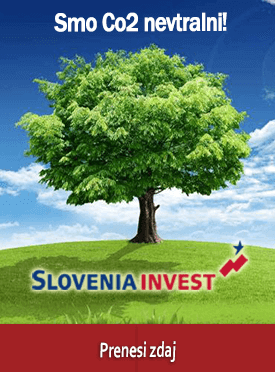 More projects would be realized thanks to the new skills and contacts, and once developers have obtained an understanding of the requirements of international professional real estate investors, FDI would increase as institutions start to invest in Slovene real estate assets. Projects would become more successful and profitable, contributing to economic growth. In the meantime, both developers and banks are starting to realize the value of professional feasibility studies carried out by impartial Companies. This is becoming an important part of our business at S-Invest and we expect it to increase. Project equity required by banks in Slovenia is at least 20%, but this is low compared to more mature markets. In the UK, 40% is the norm. Most Corporates in Slovenia are excessively indebted, and few can provide even 20%. In larger markets there are specialist lenders known as ‘mezzanine finance providers’ that can step in to fill any gap. During the boom times in Slovenia the banks fulfilled this role, but now of course it would be impossible to obtain this kind of loan from any Slovene bank. State owned SID Banka however is assisting some developers, by supporting realization of some projects that started before the crisis but stopped after commercial banks faced new market conditions. SID Banka is well aware of the problems in the real estate sector and is actively working to stimulate the construction sector. The government should set up a 500m€ fund without delay, to take equity stakes in worthwhile projects. This would benefit the economy in two ways. Firstly it would get developments going that would otherwise never become reality, and provide work for architects, engineers, construction workers, real estate agents etc. Secondly it would provide a valuable return for the taxpayer, as this kind of equity investment is always well rewarded with returns of at least 20% p.a. It is of course essential to ensure that only the viable developments get this funding, and it would be necessary to hire professionals from overseas with similar experience to come to Slovenia to set up the fund and assess investment opportunities. The funds should be awarded on the merit of each project, unrelated to any political affiliation. No article on change would be complete without a comment on bureaucracy. The number of man-hours and resources wasted on truly pointless things in Slovenia is breathtaking. We recently moved office. In the UK, changing the official address of a company is very straightforward. It can be done in 5 minutes on the Companies House website. Here, nobody but me, the Director of the Company could deal with the issue, in person – at the Ajpes office. I arrived at Ajpes, to find they were closed for lunch. After a long wait, I managed to locate the right desk and sign the relevant forms. I was then told that the forms would be sent to the court so the judge could decide whether the change of address would be permitted. Several hours of my time were spent on pointless bureaucracy, and more hours of civil servants time. These people all have to be paid and it would clearly be better if worthwhile jobs could be found for them that would benefit Slovene society rather than create an administrative burden on taxpayers.The bureaucracy issue applies to building permission also, the process has to be streamlined and simplified, and it is not acceptable that it should take 2 years to obtain consent. As we go to press, it is not yet clear who the next Prime Minister will be, so I would like to address this to Mr Janša, Mr Jankovič, Mr Virant and Mr Pahor. Whoever ends up in charge, or in any position of influence, please do what is required to end the gridlock, which is stalling economic growth, and implement these measures without delay. Jacqueline Stuart is Director of S-Invest d.o.o.